Home Auto Insurance By State California How Do You Get Cheap Insurance in California? Everything is so expensive in California! In LA, a cocktail is like $15. Gas prices are almost as high as Hawaii’s. And don’t get us started on rent. Is Car Insurance Cheap in California? 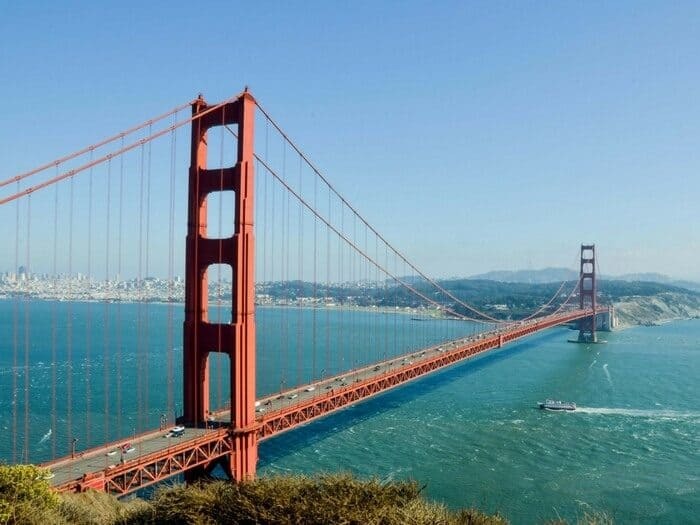 Despite its reputation as a pricey place to live, California is only the 22nd most expensive state for car insurance, according to the Insurance Information Institute. That means rates hover close to the national average. Of course, the cost of car insurance can change a lot depending on your driving record and where you live in California. People living in rural areas and small towns will pay less; residents of San Diego, Los Angeles and San Francisco will probably see higher rates. So how can YOU find the cheapest California insurance? We’ll show you. If you want to skip all the explanations, you can just start comparing free quotes to find the best deal! How Do You Get the Cheapest California Car Insurance? The super-quick answer: Compare quotes for state minimum coverage. To drive legally, you don’t need a lot of insurance. 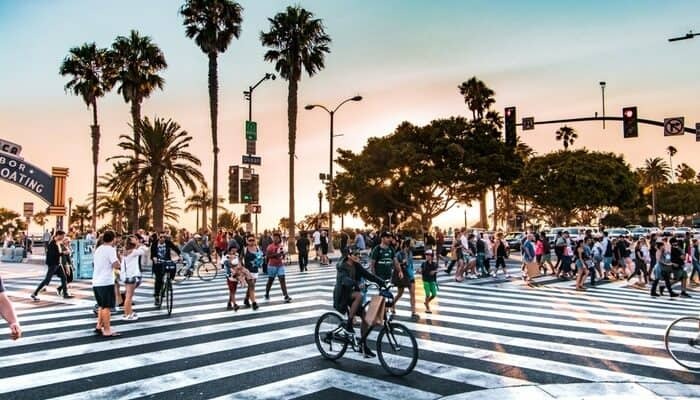 California’s minimum insurance requirements are $15,000 in bodily injury liability per person ($30,000 per accident) and $5,000 in property damage liability. You’ll see this abbreviated as 15/30/5. So if you’re really broke, and you just need the cheapest California car insurance, you can choose state minimum coverage when you’re comparing quotes on Compare.com. The quotes you see will be the absolute lowest ones we can find. Is California State Minimum Insurance Enough? That depends on a few things: the car you own, the assets you possess, and your risk tolerance. Carrying the cheapest CA car insurance may not save you money in the long run. If you cause a serious accident, $5,000 probably won’t be enough to pay for other people’s property damage, and $15,000 won’t cover all their medical bills. That means you could get sued. Now, if you don’t own a house or have a lot of money, you don’t have much to lose. If you do have a house or other assets, you need to protect those assets with better insurance. Also, if you have a newer car with a loan, your lienholder (the dealership or the bank) will require you to have comprehensive and collision insurance to protect the car. That means buying the Basic level of insurance, at a minimum. How Do I Find the Cheapest California Auto Insurance that Will Protect Me? Compare.com makes it easy. Enter your info one time, then compare quotes for different levels of coverage. That way, you can figure out the best coverage you can easily afford. As an example, let’s look at a 28-year-old driver who lives in Bakersfield. She has a clean driving record and she drives around 11,000 miles each year. For state minimum coverage, her quotes are super cheap: $31 to $67 per month when she opts to pay for six months up front. Paying month-to-month is typically more expensive, and also requires a down payment. But she drives a newer car, a 2016 Ford Fusion, which means she definitely wants comprehensive and collision coverage. So she compares quotes again, this time for Basic coverage — which also gives her 15/30 uninsured motorist bodily injury liability coverage. Now, her up-front quotes range from $98 to $205 per month. Because she owns a house, too, our Bakersfield driver decides she should get more liability coverage. Plus coverage gives her 50/100/50 limits for bodily injury, uninsured/underinsured motorist bodily injury and property damage. It also includes $2,000 in medical payments, which pays for necessary medical, dental, and hospital expenses for you and your passengers after an accident, no matter who’s at fault. The deductible for comprehensive/collision drops from $1,000 to $500, and towing/rental car coverage gets added. For Plus coverage, her quotes range from $130 to $234 per month. See why it’s so important to compare? Of course, your rates will be different, and can even change day to day. The only way to know your options is to do your own quote comparison. What Are Some Ways to Make my California Auto Insurance Even Cheaper? Drive less — and drive better: One cool thing about California car insurance is that the state restricts which factors insurance companies can use to determine your rates. This means insurers can’t consider your credit score, education level or marital status. However, this means that insurers place the most weight on two other factors: your driving history and your annual mileage. Driving less can save you money — according to the Consumer Federation of America, a Los Angeles driver could save almost 9 percent a year for every 5,000 miles they don’t drive. Consider pay-per-mile car insurance: When you’re using Compare.com to compare auto insurance quotes for California, you may see one for pay-per-mile insurance from Metromile. With per-mile insurance, you pay a low monthly base rate plus a few cents per every mile you drive. This can be a super-cheap option for people who don’t drive a lot. Is Metromile right for you? Read this review. Drop the extras you don’t need: At the bottom of the “select a coverage level” page, you’ll see a link that says “Customize coverage.” Click it! You can adjust your coverage levels and deductibles, which can save you money. One easy way to do it is to drop rental car and towing coverage. Talk to an advisor: When you get your quotes, if you don’t see one that fits you exactly, you can click the green button to call an advisor. This will connect you with an expert insurance rep who can help you figure out the right coverage to buy. If you need to find cheap auto insurance in California, the smartest way to do it is to compare quotes on Compare.com. It’s fast, free and easy. Start here!